Millbrae Dental Care: Why Am I Feeling So Tired? Are you constantly feeling tired during the day? There could be many reasons behind this feeling. Perhaps you have a newborn that needs attention, maybe you're consuming one too many cups of coffee during the day. But, suppose you're simply not getting enough sleep? Even more complicating, suppose you DON'T KNOW you're not getting enough sleep. There's a condition called sleep apnea that causes you to temporarily stop breathing while you're sleeping. In doing so, you often wake up which disrupts your sleep cycle. The end result, even though it appears by your clock that you've gotten enough hours of bedtime, you in fact have been short changed. The only real sign you might have to all this is that you experience constant fatigue no matter how many hours you sleep each night. Left untreated, sleep apnea can increase your risk in other areas of your health. 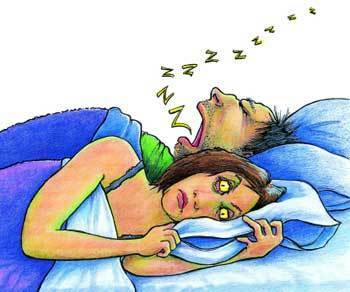 One way to see if this might be the case is to take an Epworth Sleep Apnea Test which you can find on our website. It's a simple online quiz that shouldn't take you long, but could provide some useful insight.